How to add or remove positions to an employee. How to change the department of an employee. 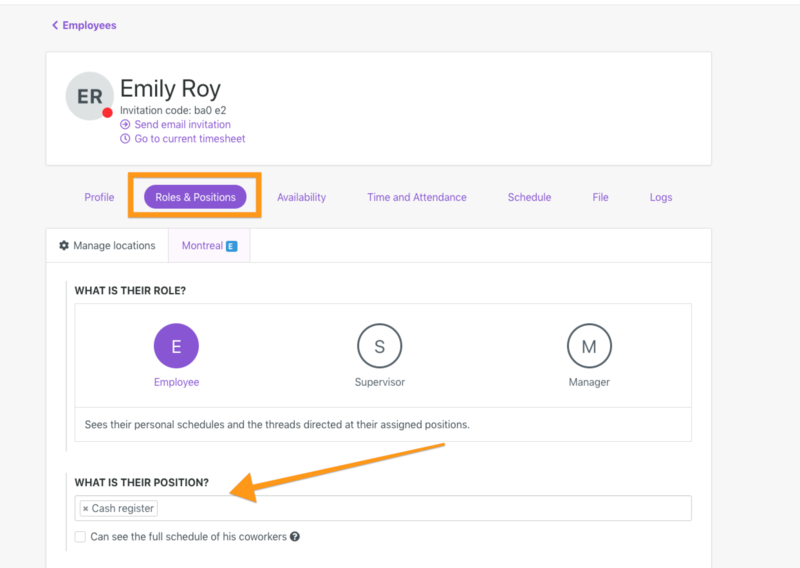 You can add and remove the positions of your employees at any time in their profile ➡️ "Roles and positions" tab. Note that you can assign multiple positions to each employees. Positions must be assigned per location. If you would rather create or manager your positions, see more about that here. In the "Roles and positions" tab, scroll to the bottom and fill the "Positions" field. 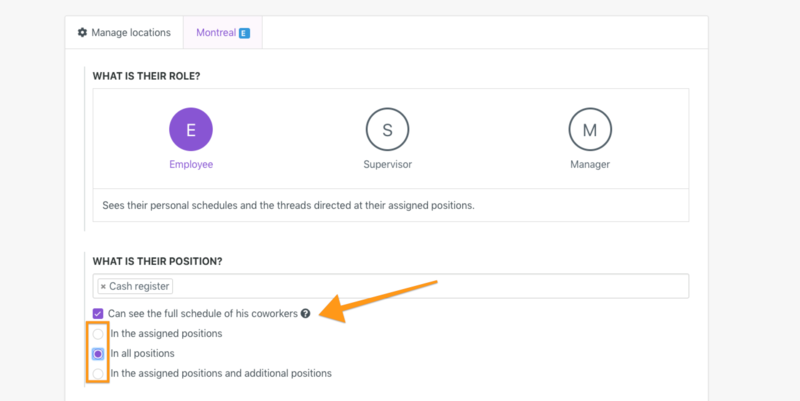 You can manage existing positions directly in the scheduler, more on that here. Roles determine the access level each user will have to the scheduler's function. More on that here. You can decide if that employee can see the schedule of his coworkers by activating this button and choosing what best defines what you want him to see.